Imagine a world where your morning routine can be cut almost in half. A world where you can drop everything and meet your friends at the pool without worrying about unsightly hair. That world is here, and McHugh Plastic Surgery holds the key. We’re pleased to offer our clients laser hair removal services to tackle unwanted body hair almost anywhere on your body. This means saying goodbye to shaving, plucking, tweezing, and the oh-so-painful waxing, for good. If you want to start now to take on summer with smooth, hairless skin, we’ve pulled together a few things you should know about how laser hair removal works and what you should expect. Everyone’s needs are different, and we’re happy to review the areas you want to treat to see how we can help. 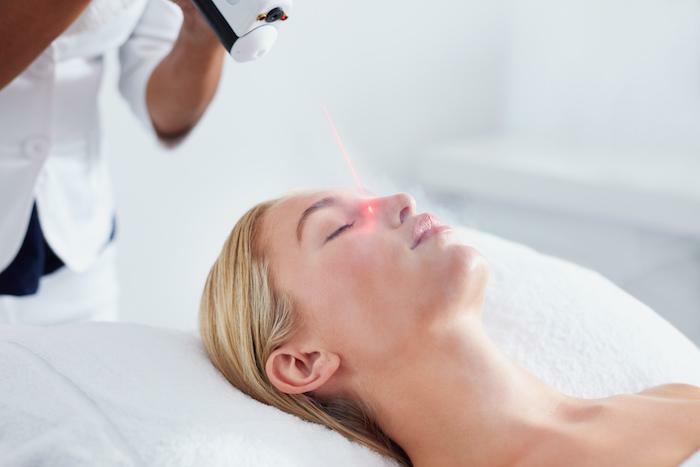 Laser technology has come a long way over the past two decades, and now we’re able to control the density and depth of the energy we send through your skin. 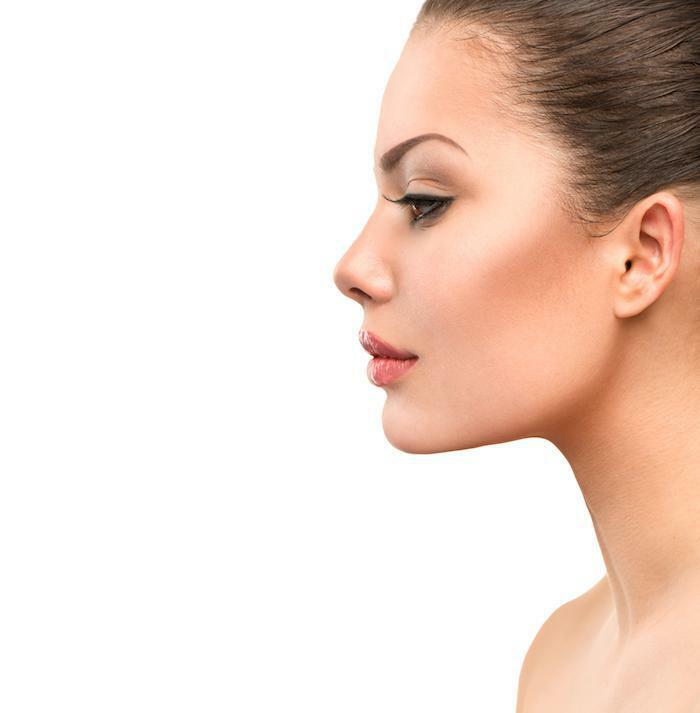 And when we say “send through” your skin, we mean the light energy passes through it without harming the surface area, which is one of greatest advantages of laser technology. In the case of hair removal, hair follicles are targeted just below the top layer of your skin and destroys them with heat from the laser. Rest assured, our equipment has a cooling device to keep you from feeling the heat, leaving only your hair follicles under fire. When you come in for your consultation, we’re going to send you home with some instructions to best prepare yourself for successful laser hair removal. One of the requests we make is that you steer clear of the sun and tanning salon before and immediately after your treatments. Laser hair removal is precision work. One hair follicle at a time is zapped. In order for him to be as thorough as possible, he needs to be able to have a clear view of your hair follicles. If you darken your skin, it makes his hunt all the more difficult, and he may miss some well-camouflaged hair follicles. While you may have heard that you need to grow your hair out in the areas you want treated, that’s not necessarily the case. Obviously, this doesn’t apply to areas where you don’t typically treat the hair. For example, if you want to remove the chest hair you currently have, just leave it the way it is until you come in. If you want to target areas that you’re addressing on a daily or weekly basis, such as under your arms, your legs, or your bikini area, we’ll give you full instructions about what you should and should not do before your treatments. What this really means is that you shouldn’t wax or tweeze these areas, or use any other technique that goes straight to the follicle. In order for us to do our best work, we need to see the follicle and hair shaft clearly. It is suggested that you stick to shaving until your first treatment, because shaving only disturbs the hair above your skin. This also holds true throughout your treatment. Most of our patients require five to seven treatments, depending upon the size of the area, to thoroughly target all of the hair follicles in the area. During this time, your hair will be both falling out and growing in, and those that are growing in must be identified at targeted at your next appointment. If you get started on laser hair removal now, you can enjoy silky, smooth skin you can show off all summer. If you’d like to find out more, please call us or use the scheduling form on our website. We look forward to seeing you!